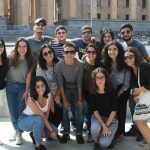 Home Alumni South Caucasus FLEX-Ability Workshop 2017: What’s Your Story? 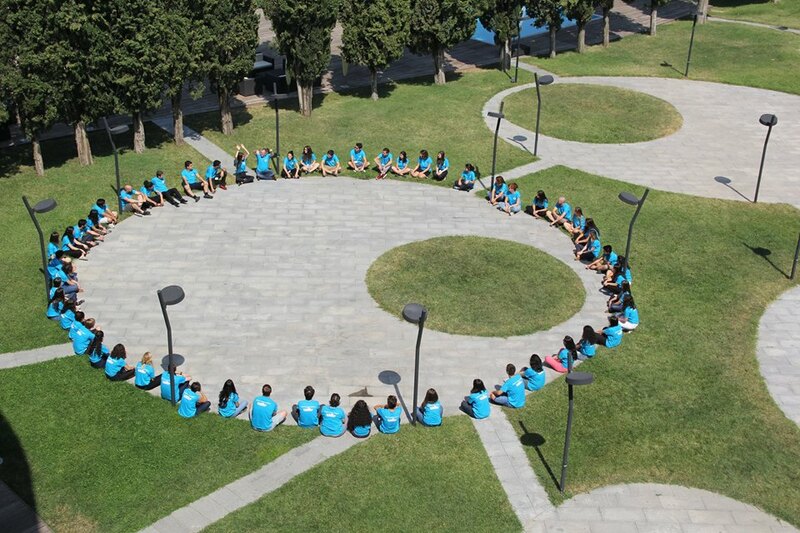 Forty-five FLEX alumni from Armenia, Azerbaijan, Georgia and Ukraine attended the 2017 South Caucasus FLEX-Ability Workshop in Kvareli, Georgia at the Ministry of Justice Training Center on August 30 – September 3. The workshop prepared alumni to tell the amazing stories they have about the impact the FLEX program has had on their life. 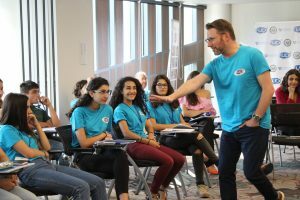 The workshop opened on August 31 with welcoming remarks from American Councils staff members, lead trainer Dan Crane of the Shakespeare Threatre Company and FLEX alumni mentors. Throughout the workshop Dan Crane lead sessions on storytelling ranging from activating your message and organizing your text to engaging your space and sharing your work. In a fun, comfortable environment, alumni learned how to listen and communicate more effectively and become more relaxed, present, and persuasive in public through the study of techniques used by actors and directors in the theatre. All the time, working on speeches that they will perform to promote the value of international exchange programs. Seven senior alumni Liana Barabadze ’02 (Tbilisi, Georgia/ Provo, UT), Ketevan Chaduneli ’07 (Khashuri, Georiga/ Adel, GA), Liana Kartsivadze ’05 (Tbilisi, Georgia/ San Antonio, TX), Nigar Mammadova ’06 (Lankaran, Azerbaijan/ Thaver , KS ), Khachatur Margaryan’ 12 (Yerevan, Armenia/ Chicago, IL), Hasmik Tonapetyan ’09 (Gyumri, Armenia/ San Antonio, TX) and Grigol Vashakidze ’00 (Tbilisi, Georgia/ Wayensville, MO) served as mentors and supported alumni with the development of their speeches. Another key aspect of all FLEX alumni workshops is the opportunity for alumni from different countries to learn more about each other’s cultures, lives, and alumni projects. With participants from across South Caucasus and Ukraine, alumni learned about their neighbors and shared their own culture. Participants shared videos about their lives at home, national dances, talent and talked formally and informally about what it means to them to be a member of the wider FLEX Alumni community. 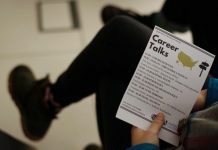 FLEX Talks events, based on the TEDTalk format, will be organized as a follow up from the workshop in the fall of 2017, where FLEX-Ability participants will have a chance to share their story with others in Armenia, Azerbaijan, Georgia, and Ukraine. The workshop maintained a strong social media following, with alumni and interested parties from around the globe following the workshop activities. 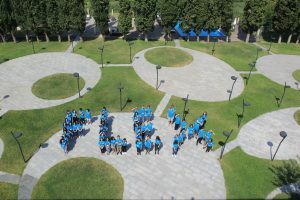 The hashtag #FLEXAbility17 was used along with #FLEXAlumni and #ExchangeOurWorld. 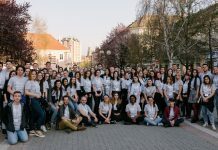 Multimedia Consultant Mariam Nozadze ‘14 (Tbilisi, Georgia/ Belleville, IL) created three videos highlighting the events at the workshop to share with the wider public the information taught at the workshop and its impact. 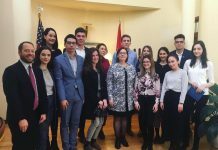 The workshop was made possible with funding from the U.S. Department of State Bureau of Educational and Cultural Affairs through the FLEX grant and with funding from the U.S. Embassies in Armenia and Azerbaijan. “I always thought that I was not born to speak. My speeches always used to be boring and unconstructive. During the workshop I found out that all of us can say something if we want to, in an interesting way. We just need to have a willingness of talking about the things that are important for us and be ourselves when we speak to the public, because the public always appreciates authentic and natural work.” – Alumnus from Georgia. “The speech preparation process was the most valuable. 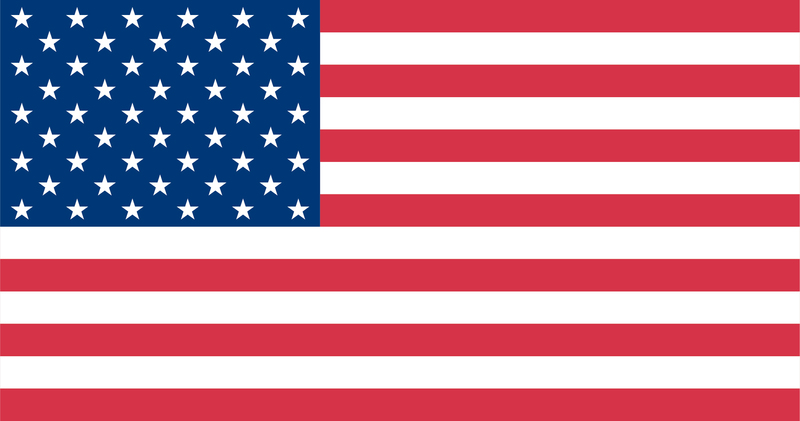 I have never rehearsed speeches so many time before.” – Alumnus from Ukraine.